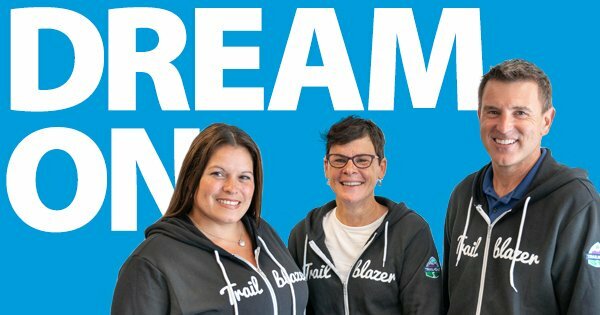 Team WEX Takes on Dreamforce | WEX Inc.
Last month marked WEX’s first time participating at Dreamforce, a conference hosted annually by Salesforce in downtown San Francisco. The conference brings together thousands of users of its customer relationship management (CRM) software, which WEX has used for six years. Representing WEX at the conference were Lisa Garside and Virgen Tracey, both 20-year-veterans of our company, who were invited to present because of their success deploying and adapting Salesforce’s new Service Cloud application across our North American fleet contact center over the past year. Lisa, a WEX program manager, and Virgen, a senior team leader who has been devoted full time to the Service Cloud initiative for the past year, spoke about the best practices they developed to ensure that Service Cloud would deliver maximum value for both our call center agents and our customers. Give it a name. To ensure the Service Cloud project was given the organizational attention it needed to succeed, it was important to give it a name. It was dubbed “Project Raven” after a project manager who liked the Baltimore Ravens. Lisa says that simply naming the project reminded key stakeholders what was being done—service transformation—and why. Start with a pilot. Before going live with all contact center agents, a 120-day period was established in which only select agents used the Service Cloud product. Throughout those four months, WEX worked with Salesforce to create a feedback loop for the agents and to make constant improvements based on their comments. Outline success criteria. In addition to the discipline and strategy required to have a pilot, it’s critical to identify success criteria to monitor whether or not the application is yielding the desired outcomes. Identify floor champions. Project Raven team leaders identified specific agents who had the capacity for change management and named them floor champions. They became known as the go-to champions of this enormous application change. Just go live. WEX didn’t wait for all agents to be perfectly trained on the application before going live. “We didn’t do a test environment,” says Lisa. “We did one hour of classroom training, followed by one hour of on-the-floor training, and then we went live.” Throughout, the floor champions were available to support and coach the other agents. Phase the rollout. Divided into two phases, Project Raven used phase one to deliver the new application and UI to agents, and phase two—still in progress—to get agents to map calls to specific cases. This is giving WEX a better understanding about why and how frequently a customer is contacting us. To view WEX’s presentation at Dreamforce, click here.